Are you searching for a luxury pre-owned vehicle in the Edmonton, AB area? If so, then you are in luck, as there are a few excellent options available for you to explore! 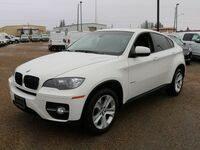 Some of the very best used luxury vehicles available in the Edmonton area are manufactured by BMW. Customers in Edmonton can explore the excellent BMW inventory we have available at Go Auto Express today! BMW is known worldwide as one of the best manufacturers of luxury automobiles. Many of their vehicles are loved by customers and really highlight the best that the automotive industry has to offer. BMW is also one of the more innovative luxury vehicle manufacturers in the world and the company prides itself on being a leader in the development of automotive technology! Let’s explore the excellent vehicles that BMW has to offer together! This is only a brief list of a few past award winners. If you are interested in purchasing a pre-owned BMW vehicle, then you should contact the staff at Go Auto Express today! Our staff is happy to answer any questions that you might have! Visit our dealership in Edmonton, AB today!